Okay, let me set this up. The music pastor at one of the churches that my consulting firm is working with was recently reviewing our proposed equipment list for the sound, video and theatrical lighting systems in their new worship center. Once he was over the initial shock of the grand total of our estimate, he approached me with the announcement that one of their church members who is in the business had offered to procure the equipment for the church at his wholesale cost. Seems like a good idea, at least on the surface. But lets dig deeper. Since their building committees idea of a reasonable budget figure is about $50,000 shy of the reality of what it will cost to build the barebones systems that will meet their most basic of technical needs, this offer by a church member was obviously an attractive idea. But to the uninitiated, its an idea that could be difficult to implement and could easily create some expensive problems for the church at a later date. This can be an emotionally charged issue. Since my company doesnt sell any equipment, I often find myself right in the middle of that struggle. But part of my responsibility to the client is to be their advocate through the process, and sometimes that means keeping them from shooting themselves in the foot. I read your message cautioning us about using people from our membership to try to get the equipment for less. I have a question about that. First, you said the issue isnt what you can get the gear for  the issue is what is the appropriate solution for our needs. The attached lists basically represent that. With that information in your hands, your building committee should now see just how far they can stretch their budget. And if it wont stretch all the way, we will find logical ways to trim the list accordingly. Some of the issue certainly IS what we can get the gear for, since we cant afford the full amount that youve recommended. If we have to have all of that gear from the start in order to have quality services, cost is absolutely an issue. If we can get the exact equipment you are specifying for a lower price than you list, possibly at wholesale, what is the problem with that? A member of our congregation has a business that provides sound and video for special events, and he is able to purchase equipment at wholesale prices. I understand that a contractor might not want to work on those terms. Is that the problem? That we dont want to get a shoddy contractor because hes the only one who will let us purchase some of the equipment from another source? If thats the case, then I understand, but either way, we need you to explain clearly why the cost of the gear isnt the issue. Those are all great questions from someone who genuinely wants to do the right thing. Wanting to provide the best possible answers for my client, I enlisted the help of a handful of trusted friends, each of them seasoned pros at providing quality system solutions for their church clients, and posed some tough questions to them. I think youll find their responses insightful and most helpful. The following comments are from the perspective of successful sound and video contractors, individuals who also love God and enjoy working with churches. Like us, they have only the best interests of the church at heart. They have not read each others comments, nor do they know anything about the project under discussion. One thing I find interesting in reading their comments is that through their own varied experiences and seasoning they have each come to very similar conclusions about how to maintain a financially successful business, and specifically how to respond to a situation like the one posed by our client. (1) If a church approaches you to say that they have a friend in the business (often a church member) who is willing to sell them that equipment at wholesale, but they want your company to professionally install that gear, what would your response be? [CJ] RUN!!! We have tried that in the past hoping to save the church a few bucks. It is ALWAYS a disaster. Then that well-meaning person leaves the church (because he is so embarrassed) and the church is stuck with a system that does not work well. At that point, no legitimate AV contractor will help or serve because there is no way to make any money on it. So the church is left with a system that YOU designed, they are not happy, the people that made the decision to cheap out are gone, and your reputation gets marred. You also do not have a customer who can show off your work. If you get several of these it can be quite hard to recover. I will usually take the client to several local projects that I have completed and show them how well the system works and how happy the client is. I also give them an extensive references list so they can be sure they know what they are getting. I then ask them to take a look at the past projects that their resident expert has done. Usually he does not have any and the church loses confidence and is willing to consider doing it right. It is an educational process they have to be led through. [JL] I would be hesitant to take the project as an installation labor-only project (or as a cable plus installation labor project). One consideration would be whether the request came before or after bidding. If the initial specification was for a labor-only project it would be a different situation than if the request for bid came out as a complete package, then was scaled back to labor-only. However, I might enter into serious conversation with the church decision makers and try to explain the ramifications of doing business in this manner. Of course, potential problems occur with equipment warranty as well as warranty of the installation, both in terms of the actual implementation of the warranties and the customers expectations of the implementation. An agreement might be reached, but the potential long-term ill will would be a barrier. This would be similar to a person taking their own hamburger and buns to McDonalds and asking them to cook them, and requesting them to charge only for the labor and the gas flame to do it, then asking them to guarantee the quality and taste of the final result. [RO] If I am to be responsible for the successful installation of the sound system, and to provide long term service (after the warranty period with no charge loaners), then they should purchase the equipment from me. No one else will be available to service the client 24/7. If that is important to the church, then I am the one to work with. This past year I have run into only two churches that thought they could get a better deal elsewhere. [CR] From my perspective it is simply a question of bottom line profit for the business. As with any business we need to be profitable to stay in business. (2) How does that affect your pricing? [CJ] I have to SUBSTANTIALLY increase my labor rates if the church demands this be done. Usually my profit is a combination of profit on sales and labor. If the profit on equipment is taken out I have to charge more for labor or I lose money on this project. So the price will come out about the same anyway, so they might as well buy the equipment from me so they get on-site warranty and future tech support. [CR] On a typical project, if the church were to supply their own parts I would have to charge them nearly double the labor to stay profitable. When the customer provides parts I save some time in placing POs, but I usually spend equal to more time making sure the parts are correct. Imagine getting a loudspeaker cluster hung only to find out the horns were ordered 40x40 instead of 40x60. Or that they were not ordered with the horns rotated 90 degrees. Or that fly points were not added, drivers were not brought out individually, etc. [CW] If I was providing installation as a billable service, I would offset my equipment profit loss by increasing my labor & expense fees. Ive found most all AV contractors will be within a very small percentage margin on a RFQ (request for quote) which makes the clients decision even harder. [JL] If I had already bid the project, I would revisit the installation plans and reconfirm all my labor calculations. If not, I would be certain to study them carefully. In either case, I would need to account for all the little things that are normally included as a part of the job, but which are usually covered by some part of the parts markup or a small items contingency fund which may appear as a percentage of total equipment pricing. These are things like audio connectors, ty-wraps, anchors, markers, etc. If we dont sell the equipment, we still need to purchase, install (and sell) the miscellaneous parts to make the system work. (3) You make part of your profit from the sale of that gear, so if you decide to do that install for them do you have to increase your labor rate to compensate? Or would such a job even be of interest to you? [CJ] See above. Currently we are so busy we would not consider doing a project that way. But if the economy changes again and I am trying to make payroll, I sometimes make different decisions. [CR] After you factor in all of these things the only way we can be reasonably assured of profitability is to do these projects time and materials. Otherwise our profitability is out of our control. And on a typical project I could see the T+M labor numbers exceeding the labor quote by 50% or better. We do T+M (Time + Materials) projects fairly often, but almost always for other contractors that do not have a local office. When another national AV contractor needed to get a large local shopping mall installation done, they kept three of my people busy for five months. All of this was T+M. So in a nutshell I cannot make money without the markup of my gear. The Church will sometimes think that they can save tens of thousands of dollars by purchasing the gear themselves, but with slim bottom line profit percentages, there is just not much room to save big money. And the savings to the Church, if any, are not worth the risk. [JL] I would seriously consider changing the labor rate from our installation rate which is dependent on equipment sales, to our service rate, which is not. The difference is that the service rate is about 33% higher. [CW] I would stress the equipment warranty/liability issue if I really wanted the project. That should make them think twice about wholesale equipment. Pay me now or pay me later when it breaks! You get what you pay for. (4) How do you counsel the church on the issues of after the sale service or warranty repairs? [CJ] We are the best here! We have a full time 24/7 service department and do in-house service. We also have loaner equipment available and can keep their system going. If we sell them the equipment, we are responsible for all aspects of it. If they call us out because a mic does not work and it is because of a cord they purchased elsewhere, we have to charge them $65.00 to tell them. If they buy the cord from us, it is under warranty. [JL] Any agreement would include a firm statement that any equipment not purchased from my company is not covered under warranty by my company. The only warranty, expressed or implied, is on the installation of the system. If the installation is faulty, then that portion of the work will be repaired or redone as appropriate. If the customer calls for service and the fault is found in the equipment purchased from another company (wholesaler), we advise the church they need to remove the piece, box it up and return it to the wholesaler for warranty repair. Then, we will bill the church for our service call at advertised service rates. If they call for us to reinstall the piece, a second charge will be incurred. This is similar to the practice by our telephone companies who do not warranty any inside-premises wiring or equipment. (5) How do you paint the picture so that the church understands the value of what a pro AV company brings to their project? [CJ] Field trips and references! As soon as the business people in the church see the quality of work, final result, importance of service, reliability of a 21 year old company with an excellent reputation their risk is quite low. They may have a potential to save some money by purchasing the gear from their friend and/or helpful church member, but the future risk is QUITE high! [RO] Nearly all equipment will require service over the lifetime of an installation. Most of my clients are more interested in having someone reliable who will take care of their needs and keep their installations running with as few problems as possible. [CW] I firmly believe that a persons reputation and track record speaks for itself. [JL] When a church brings up the idea of saving money by purchasing equipment wholesale from a source, they will use the reasoning that they are trying to be good stewards of the Lords money. It is difficult to get them to understand that investing it by spending more is a good idea. The value they get by purchasing the equipment from the Pro AV dealer is (or should be) three-fold; Installation knowledge, product support during its normal lifetime and service upon failures (whether in-warranty or out-of-warranty). First, because a specification may include several as-equal products for any one function (i.e. JBL, Community, E-V or Renkus-Heinz loudspeakers; QSC, Crown or TOA amplifiers; Soundcraft, Allen & Heath or Mackie mixing consoles), the Pro-AV dealer will select the necessary equipment from manufacturers that they support. If the church purchases equipment from a wholesaler, its likely they will select the cheapest of the available brands. The installing dealer may not be familiar with the specific brands purchased or be trained in their installation because of manufacturer restrictions. On the other hand, a Pro AV dealer staff will be knowledgeable of the products they support. Second, the Pro AV dealer will be able to provide proper training and support for equipment they sell. Manufacturers are reluctant to provide service information to non-authorized companies and AV companies are reluctant to spend any significant time to train their personnel on non-supported products. On the other hand, the Pro AV dealer will have manufacturer support and product knowledge for the equipment they are authorized to sell. This means they can train the end user and can provide good follow-on support when the customer asks questions or needs system service. Third, the Pro AV dealers staff will provide the full warranty coverage on the equipment they are authorized to sell parts and labor for the duration of the agreed terms. This means they will take on the burden of removing any defective equipment, repairing it and returning it to the church. Some contractors are willing to provide loaner equipment while the churchs equipment (purchased from them) is in the shop. This helps ease the burden on the customer. (6) How does a church purchasing the gear at wholesale impact the other vendors and AV companies as a whole? [CJ] Unfortunately, so many churches are being burned by well meaning members. We are finding churches more willing than ever to hire a reputable professional. The AV and lighting is critical to most churches, and it is the one area they do not want to take a risk in. [CW] It makes the wholesale company some money, the vendor no money, and gives the AV company a future opportunity to enter in as the hero to fix the mess at a later date! [RO] Many churches have told me that there is no one that is interested in their sound needs anymore. I have been careful to tell them that if they want the value added services, that those come with a cost and their support of quality contractors. [JL] I believe that when a church purchases the gear at wholesale prices, it lessens the strength of the local AV Pro support companies. These companies depend on sales and the profits they generate to stay in business, to train their employees and to purchase the support equipment needed to install and service the products they sell. When a church decides to purchase products at wholesale, they reduce the legitimate profit an installing company can earn, thus reducing that companys potential long-term health. They also reduce that companys willingness to give an extra bit to the church in terms of future service priority or pricing consideration. (Good, long-term customers often get favorable pricing.) I have heard more than once  and in more than one company service department  statements to the effect that They didnt buy that from us; why should we service it? 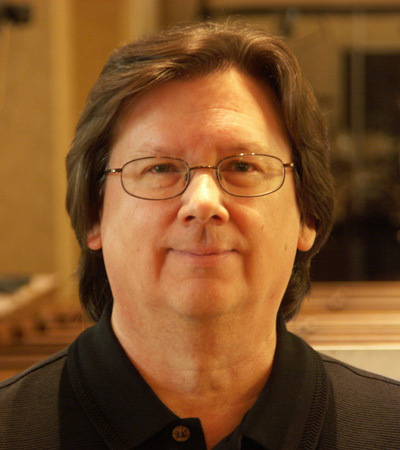 [CJ] In my 35 years of working with sound and churches I feel I have gleaned a few insights. Budget-minded people will make budget-minded decisions resulting in budget-minded results. Needs-driven people make needs-driven decisions resulting in needs-minded results. I feel my job is to educate the user as to the logical results of their thinking. They can then make a much better decision. I dont think people want to make foolish mistakes. They are just uninformed. For instance, I often reduce the scope of the AV system in order to improve room acoustics and background noise levels. Most churches do not understand how important this is. But as soon as I take them to a really good room and then to a really bad room, they are shocked! Now the resident budget minded expert loses confidence in the eyes of the group because he did not deal with such issues. Education helps people make informed decisions. Those of us who are trying to do top quality work, retain excellent employees, pay bills, provide security and insurance for our employees, provide long term stability so the customer has a place to get support and service, have to make a reasonable profit. We are not trying to cheat anyone! But treating employees fairly is God-honoring, and so is paying your bills. If a customer is only interested in getting the cheapest price they are not concerned about the community they live in. The truth is all money belongs to God, NOT the church. It is just a matter of who is holding it for Him. Its a stewardship issue. If my company holds some of it and blesses the life of our employees and their families, then that is good too. In order to effectively minister to others in our community, each of us needs to make wise decisions with our finances. Its clear that in order to be able bless others, one must first be blessed himself. This is as much true for these businesses as it is for your own, and for your church. I trust that these comments are helpful. Theyre certainly intended to be. There is so much more to buying a sound, video or lighting system than just the price. I hope you can better understand that now that you have gathered the insight of these seasoned professionals.